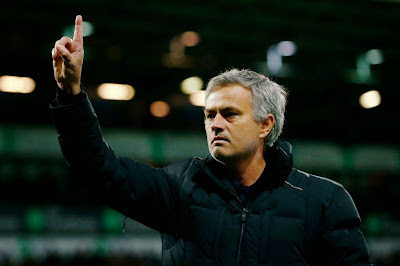 Jose Mourinho targets three - Who do you think they should be? There are plenty of rumours flying about at the moment and that will intensify after Chelsea boss Jose Mourinho confirmed he has targeted three summer signings. We have seen plenty of names being linked with a move to the club in the past few weeks. Plenty of it is pure speculation as agents look to fill their own pockets by touting their clients names around to drum up interest and look for a better contract with their current club. Pedro of Barcelona is the perfect example along with Dani Alves. However, there are some that look to have come out with real substance as it seems their future does lie away from their current club. Does that mean Chelsea are interested? I am not so sure but it would be interesting to see if they are. "I think we need three players - a striker, because we lost our legend [Drogba], a defender and a midfielder to give a little more competitiveness to the squad, bring some new blood in and put some of the team a little bit under pressure. "They need to know there is someone waiting to take their place - now they are the champions, I need that to sustain my way of working. But basically, I want to keep the same players, the same squad, the same manager, and bring stability to the club." For me it's always been obvious that those are the three positions we need to strengthen. A left back, defensive midfielder and a striker is exactly what we are looking for. If I was given the freedom to choose by Jose personally, I would go out and buy Leighton Baines, Paul Pogba and Radamel Falcao. Sure, they will cost you plenty but would bolster our options. Skip forward to next season and the title race and with the predicted summer investment made by our rivals and it's clear that it will be far closer than it was this past season. Arsenal, City and United will push hard to close the gap to Chelsea so it's important that we freshen things up with three new players. As for the title race? You can place your bets for the season ahead on Chelsea to win back-to-back titles for the second time with sports betting at bet365 and good odds while you can! For now, I am asking you the Chelsea fan reading this post who YOU want to see as the three signings Jose Mourinho has stated he will make?